The Broken beach on Nusa Penida is one of the best beaches on Nusa Penida. If you’re visiting Nusa Penida then I would highly recommend putting this Nusa Penida beach on your itinerary. The stunning rock formation is sweet for epic photos and videos. You can do a cool walk around the broken beach and check out the amazing scenery from all angles. Backpackers travel from all over Bali to see this amazing place. Nusa Penida is a backpacker’s dream. The things you will see and the memories you will make are out-of-this-world. The island has so many awesome photo opportunities. You can also check out the stunning Angel’s Billabong, Atuh beach and Kelingking secret point beach. Also check out the Ruma treehouse. Nusa Penida is one of three islands next to the coast of mainland Bali. The other two island being Lembongan and ceningan. These Top islands in Bali are also next to the stunning Gili Islands. We actually did over a week on the Gili Islands after visiting Nusa Penida. We decided to stay for 3 nights on Nusa Penida. 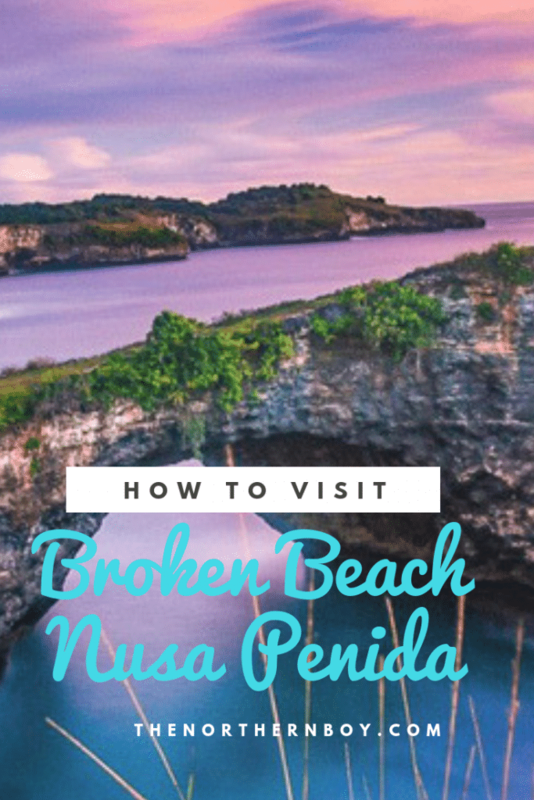 This was enough time to see all the best things to do on Nusa Penida, like seeing Bali’s best beach, seeing the Broken beach and just exploring the stunning island of Nusa Penida. Nusa Penida accommodation is very cheap so I would highly recommend staying here for a few nights, however you can do the Kelingking beach day tour. I visited Nusa Penida, Then travelled to the Gili island and then got the ferry from Gili T back to Bali. And finally finished in Ubud. We spent 3 nights on Nusa Penida and visited the best spots on the island such as the Broken beach, Kelingking Beach, billabong and the other Best things to do in Nusa Penida. I would recommend you stay on Nusa Penida for 2 or 3 nights. Or you could do the private tour to from Bali to Nusa Penida. The first thing you will have to do if you are staying in Bali, is to find a tour provder. 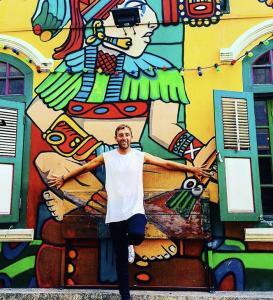 We found a tour provider in Seminyak. 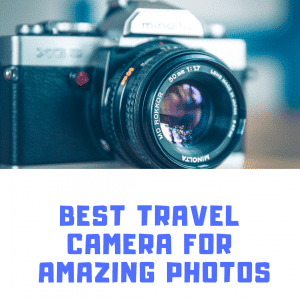 These are trustworthy and should do you a good deal for your tour from Seminyak to Nusa Penida. You can also book to go from Seminyak or Kuta to the other Nusa Islands. So what will I see on the broken beach and Kelingking beach private tour on Nusa Penida? You will visit the famous Kelingking Beach for the chance to take photos of the most amazing place to see on Nusa Penida, it’s my favourite beach in Bali. 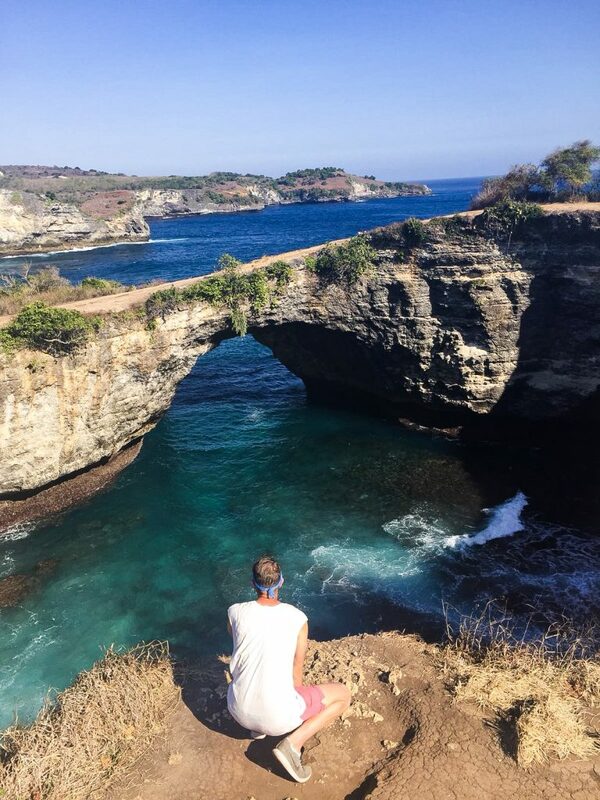 Check out the cliffs overlooking the Indian Ocean, and then continue to Pasih Uug (Broken Beach) and the natural pool of the Billabong on Nusa Penida. Experience the less visited spots on Nusa Penida, Kelingking beach and broken beach will be very busy. Then you will make your way to the popular beach at Crystal Bay, known for its great diving and snorkeling. This place is a truly top thing to see on Nusa Penida. Getting the ferry from Bali to Nusa Penida – To get to the broken beach you would first have to reach Nusa Penida which is in the southeast of Bali. One could easily get a fast boat from the several ports in mainland Bali such as the speedboat from Sanur to the Nusa Penida island. Also a regular speed boat can also be taken. These boats are easily available and go back and forth Bali, Nusa Penida and the islands surrounding Nusa Penida (Nusa Lembongan and Nusa Ceningan. The ticket for the boat costs IDR (175,000 which is US $12 per person). The distance between Bali and Nusa Penida is 40-50 minutes long. However, ups and downs can take place given to the weather conditions which are highly unpredictable on the island. Book Ticket: The fast boat tour from Bali (Sanur) to Nusa Penida. 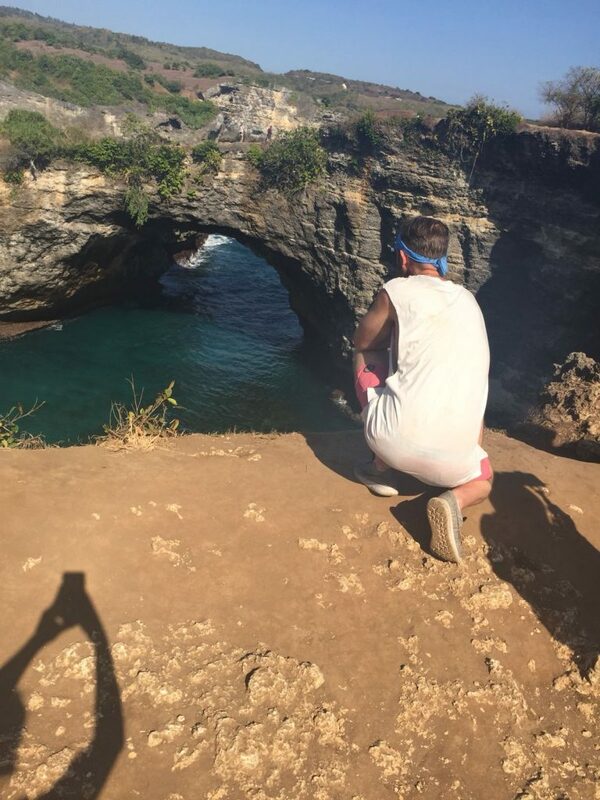 After visiting Nusa Penida’s Billabong and make your way to the Broken Beach make sure you look at the Manta Ray viewpoint. To get from here to the Broken Beach you will walk for just 10 minutes but along your walk is a small gap of tree lines. When you reach here, head straight through it. From here you can watch the manta-rays swimming around on the Nusa Penida coastline. It’s a spectacular scene to check out. There is no fee to enter the broken beach on your arrival. Which is always sweet. However, there is a cost for parking on the car-park. You will only have to pay around (50 Baht) to park. Not much at all. There is plenty of parking available for scooters and cars. The best thing there is the market stalls that sell coconuts, bananas and other tasty snacks. Do you want to visit Nusa Penida on a 1 day tour? Then yes it is possible. There are lots of tour companies in Bali that offer tours to the broken beach, Kelingking beach and other places on Nusa Penida. This is a popular option for those who don’t want to stay overnight on Nusa Penida. This Kelingking Beach tour Itinerary will take you to some of the most popular island attractions, such as Kelingking Viewpoints, Broken Beach (Pasih Uug), Manta Ray viewpoint, Billabong, and Crystal bay. The tour price include: donations, lunch, taxes, return fast boat, and comfortable air-conditioned car trassfer with expert and knowledgeable driver/guide is included. Start the Kelingking Beach Tour with pick up from your hotel and drive to Sanur port for your fast boat to Nusa Penida Island. After a 50minutes crossing Badung Strait you will be areached Toya Pakeh Harbor in Nusa Penida Island, and upon arrival at the port you will be greeted by friendly driver. Then you will get to see some of the sweetest locations on Nusa Penida. You can get a one day tour to Nusa Lembingan and Nusa Ceningan. 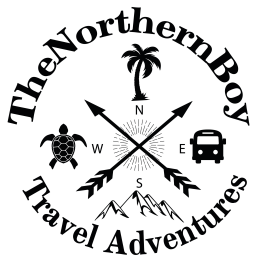 Check out the Nusa Tours Reviews for more information. I actually visited Kelingking secret point beach then made my way to the broken beach on Nusa Penida in the same day. From my accommodation on Nusa Penida it was easier to visit Kelingking beach first for a few hours, which was good before the weather got to hot. We started this day early to make sure we could fit everything in. We wanted to visit Kelingking beach, Billabong and the broken beach in one day. And we wanted to be back on the road to our hostel before it got to dark on Nusa Penida. The roads are terrible in places so I would place your trip in advance to avoid driving in the dark in bad places. This was the first time to this amazing beach on Nusa Penida island. We spent a little time on the Kelingking beach high cliff to get some of these cool photos. Make sure you be careful up here, the Kelingking beach height to the top is high. After grabbing some photos we made our way down the Kelingking beach hike. 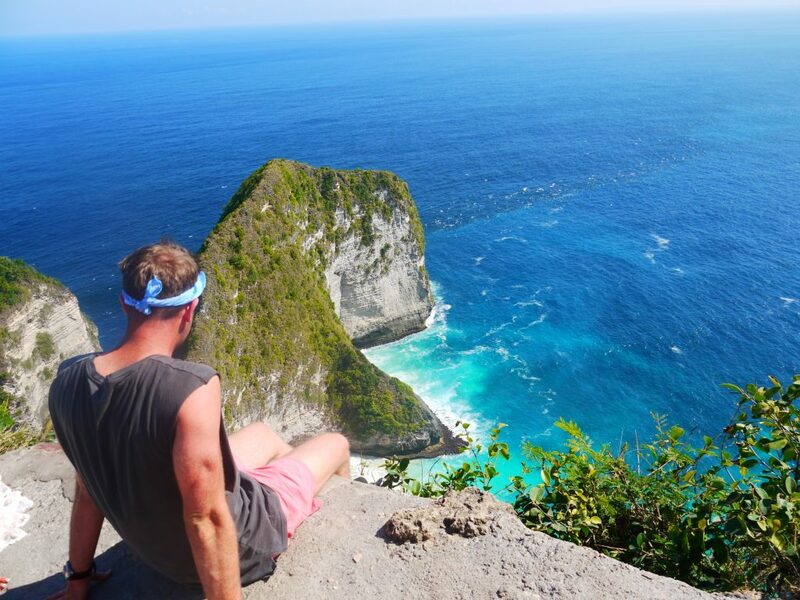 This is the most difficult hike you will do on Nusa Penida! Crystal bay is a top place to grab some epic photos. Then after visiting Kelingking secret point beach we made our way to the broken beach. 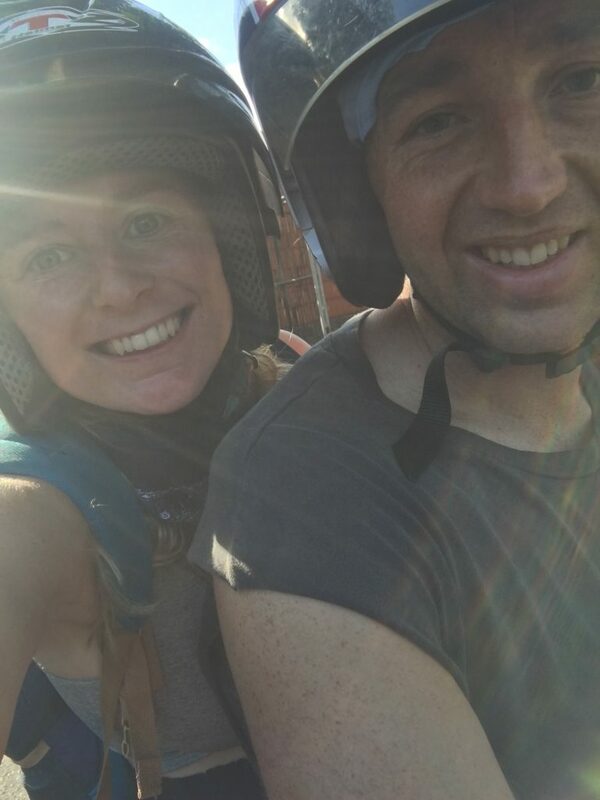 This was a crazy scooter ride and one I won’t forget anytime soon! The roads got crazy and the road near the Broken beach is so dusty. When we arrived at the beach, we dumped the scooter at the parking area. Grabbed a snack from one of the local stalls and then headed to the Broken beach. We spent an hour hiking around the beach and checking out the amazing scenery. The coastal line on Nusa Penida is amazing! We spent another hour here sunbathing and relaxing. The area is massive on broken beach so there is plenty of spots for families and visitors to relax. You will get to visit here on your tour of Nusa Penida, if you choose to do that. The local people of the Nusa islands (Pasih uug location), believe that the story of the formation of Pasih Uug is a fact of an old story about a boy and is missing cow. The history of the broken beach is about a group of local people that ate the boy’s missing cow. When the group was asked by the child about the missing cow, they completely denied knowing anything about the missing cow. The child set up a stick in the ground and asked the citizens to take turns pulling the stick out of the ground. None was successful in removing the stick. It was actually the child that finally pulled the stick out of the ground in which this caused a earthquake at the broken beach. This is what the locals believe to be as the broken beach history. You should visit the epic Crystal Bay Nusa Penida which is another awesome beach on Nusa Penida.The Crystal bay beach is a quiet arc of white sand with a background of shrubs and plants sprouting from rocks. Another of the reasons contributing to the popularity of the island are its beautiful sunsets. The Crystal Bay beach sunset is often crowded as people from all over the island come to this part of the island to checkout the breathtaking view. What is the Angle’s Billabong entrance fee? The entrance fee for the Angles Billabong is free, you will just have to pay for parking for your scooter or bike. What is the Angle’s Billabong tide time? The best time to do the low tide at the Angles Billabong is between 8am-9am. However, there is usually a lifeguard there to make sure everything is safe. I recommend you stay away from the Angles Billabong edge just to be sure! For information check out this post one the Nusa island tide times. There are many places to stay in Nusa Penida, but these are some of the many places. Accommodation on Nusa Penida is a backpacker’s dream. There is hostels on Nusa Penida have some of the mast amazing views you will find in Bali. There’s not a better feeling than waking up in paradise next to a beach and palm trees. The most popular place to stay near Atuh beach is the Nusa Penida treehouse (Rumah Pohon) which is in one of the best locations on the island for watching the sunset. This amazing guesthouse on Nusa Penida is a great place to stay for staying just a few nights on the island. There is fast WiFi., which is unusual for hotels on Nusa Penida and there is also great TV available. There is large shower rooms available in all rooms and comfortable beds to sleep in. Breakfast is also provided in the morning and its real tasty. This hotel also offers a small pool to use for guests and there is an in-house restaurant for a good price. Overall this is satisfying accommodation on Nusa Penida. For budget travelers, Apit Lawang dorms offer one of the best deals in Nusa Penida: the air-conditioned room is not only clean and spacious, but has a suitable box-spring bed (no bunk beds) and uses the shared pool with more expensive bungalows, and finally, they are two minutes’ walk from the sea. You will have a great time in this hotel. It is in a great location, close to the main attractions on Nusa Penida. The staff are very keen to help you booking activities or renting scooters and give advice on where to go and what to do on Nusa Penida. The food from the hotel is local and tasty. Also the rooms a very clean and it feels warm to stay in them. This is definitely one of the best places to stay on Nusa Penida. If you are looking for a cheap place to stay on Nusa Penida then this is. It is in a great location for everything you need whilst staying on the island. Also, there is good WiFi available for guests. WiFi is not great at a lot of you may stay at Nusa Penida. If you are looking for a more luxurious place to stay on Nusa Penida then here it is. This is a perfect stay for honeymoon holidays in Bali that are looking to visit Nusa Penida. You can book a one or two day tour to Nusa Penida and stay at this amazing hotel. There is a huge and glamorous infinity pool with a stunning view for you to enjoy. There is huge family rooms for those on a family holiday and this comes at a very affordable price. At this top hotel on Nusa Penida breakfast is also included and is very tasty. Also, you will discover the staff are very friendly. This hotel is a great place to stay. The stunning Nusa Penida island broken beach is one of the coolest places on this island to visit. Getting around Nusa Penida can be tricky in some places, but for the things you will see it’s completely worth it. Whether it’s the one day tour to Nusa Penida or a few nights stay on this epic island in Bali. You should 100% take the time to visit broken beach and Kelingking Beach. You can easily spend a few hours at this amazing tourist spot on Nusa Penida. Doing the ferry from Bali (Sanur) to Nusa Penida is an amazing way to see some of the best things you will see in Bali. And it’s at a great price too.